LastPass is one of the best password managers around, and it’s free on any platform you desire LastPass Is Now Free on Phones, But There's a Catch LastPass Is Now Free on Phones, But There's a Catch Password management app LastPass has some carefully worded good news: "Now you can get started on your phone, free!" Read More . While the company urges you to make your master password (the one that unlocks your account and gives access to all your other passwords) secure, there are other default settings in LastPass you should change to make your account even safer. Sign into the LastPass extension in any compatible browser and have a look at these settings. Click the icon and choose Preferences; in the General tab, you’ll see two settings that log you out after the browser is closed or when you’re idle. By default these will both be off; change them to some reasonable number so that your account doesn’t stay logged in when you’re not around. Next, open your Vault and click your username in the top-right, followed by Account Settings. Click Show Advanced Settings at the bottom and under Alerts, you can force LastPass to ask for your password before you take certain actions, such as accessing a secure note. This can protect your most sensitive info, and can also be toggled on a per-site basis. @LastPass The *default* for browser plugin should be to log off when the browser closes. Otherwise not very secure if a guest uses the PC. Also on this page, scroll down to the Security heading and you can allow logins only from certain countries. This can prevent malicious folk LastPass Is Breached: Do You Need To Change Your Master Password? LastPass Is Breached: Do You Need To Change Your Master Password? 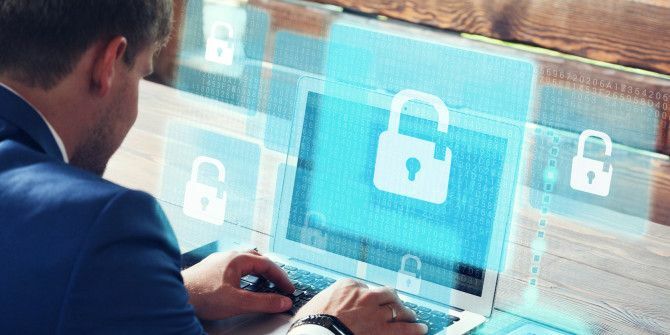 If you're a LastPass users you may feel less secure knowing that on June 15th, the company announced they detected an intrusion into their servers. Is it time to change your master password? Read More from outside your country from gaining access — just remember to change this before you travel. Finally, scroll down to Tools and choose Destroy Sessions to kick any devices off your account that shouldn’t be there. We’ve written a complete guide to LastPass The Complete Guide to Simplifying and Securing Your Life with LastPass and Xmarks The Complete Guide to Simplifying and Securing Your Life with LastPass and Xmarks While the cloud means you can easily access your important information wherever you are, it also means that you have a lot of passwords to keep track of. That's why LastPass was created. Read More , so be sure to check that out for more tips and help. How do you keep LastPass secure? Give us your best tips in the comments! Explore more about: LastPass, Online Security, Password. I'm glad to see Last Pass offer two-factor logon (LastPass calls this, "multifactor authentication"). I enabled it. It works great, with the Authy app. After one too many attacks on LastPass, I decided to delete my account and revert to Keepass. I still think LP is a good password manager, I just lost my confidence in cloud services in general. One setting I changed when I started to use LP is to increase the PBKDF2 hashing iteration from the default 5,000 to, say, 10,000. It has minimal impact LP performance, while making it very much harder to attack by brute-force. There is also the option of enabling multifactor authentication, but I didn't enable it for mine. That is why it's an encrypted "blob" of data with only the user holding the keys. If you think you have it all figured out. Then you should never use the internet. Continue to hide under that rock and remain a low information commenter. As long as your information is on someone's server, it is not fully secure. It is vulnerable to the vagaries of whatever happens to the server owner. If their security fails, yours is also compromised.